John A. Adler’s areas of practice are corporate and commercial litigation, bankruptcy, corporate and commercial transactions, and commercial and residential real estate transactions. He served as Municipal Prosecutor for the Borough of Highland Park, New Jersey in 1977-78. 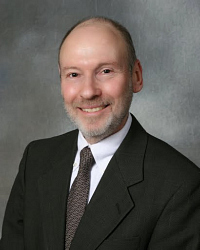 Mr. Adler is a member of the Bars of New Jersey and New York and of the federal trial and appellate courts in New Jersey and the federal trial courts in New York, as well as the Bars of the United States Supreme Court and the United States Court of International Trade.